This document gives pictures of kids during different times of the year. 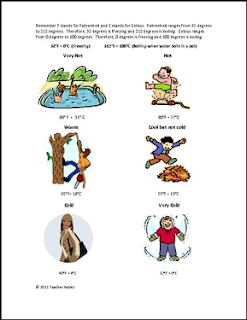 Each picture gives an estimated Fahrenheit and Celsius temperature for that activity. The student looks over the pictures and then answers the questions using the pictures for help. *This is in color and black/white.